Pugs are the cutest, aren't they?! It's even more cute if you put it on a teddy bear! 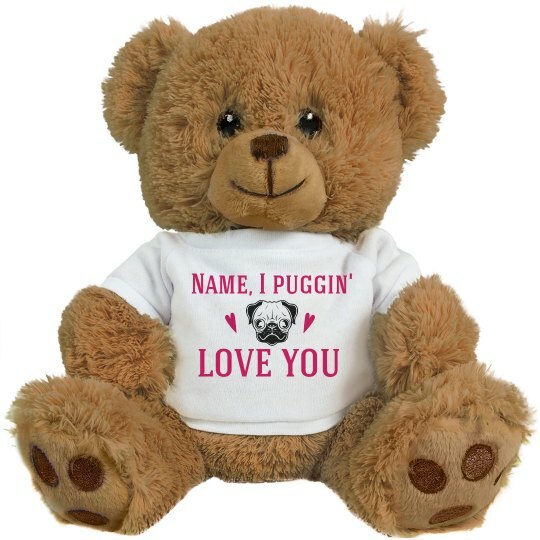 Own this teddy and customize it by typing in the name of your puggy or anyone you know who loves a pug! This is perfect for a gift as well for pet pug lovers and shout I Puggin' Love You!